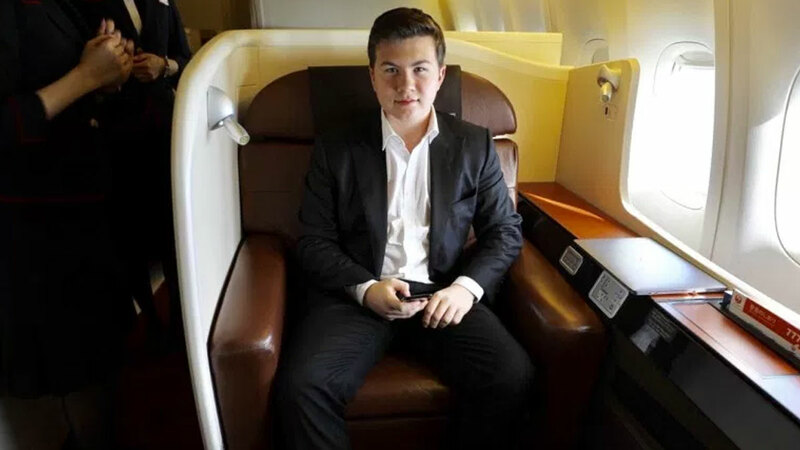 Some people spend their entire lives never setting foot in first class, but at only 17 years old, Zac George is flying first class for free. When he was only 14, Zac came across Ben Schlappig's travel blog, One Mile At A Time. That's how he learned about traveling using only points: "I become obsessed with this currency that I hadn't ever known about." Now, he's made a career out of religiously researching point programs, which he details on his blog, Points From The Pacific: "Points have benefited me immensely and without them I wouldn’t have been able to travel as much as I have." Zac has around 700,000 points spread across different programs! If you're wondering what this luxury traveler does on a daily basis, "I'll usually schedule meetings for the morning until about lunch time. From then on, it's researching and posting some content on the blog. At night, I'll usually be awake late as I'm seeing what's happening in the U.S., and if it's quiet, I'll often go to sleep watching my favorite TV series Suits." So what does he do on weekends? Zac revealed, "I would fly around the country racking up status and frequent flyer miles and then use them to keep flying." By 16, he was flying over 200,000 kilometers a year—most of them in first or business class. He has a favorite airline, too: Etihad! Zac shared, "They're the first carrier I used points on to fly first class on a long-haul flight and I immediately fell in love with them. I have a lot of friends at the airline and each flight has been fantastic. The Residence flight is a massive highlight in my career."